Looking back through hundreds of reviews from 2017 reminded me what a fantastic year it was for fringe theatre. The quality and production values of some of these off-west end productions could easily rival their West End counterparts, but are often so much more affordable and accessible for theatre-goers. Theatres, like The Bunker, actively encourage audiences to hang around after the performance, and pub theatres make it easier for audiences to enjoy a social experience. The King’s Head Theatre was home to two of the top three productions on this list, it’s future, and move to a new purpose-built home will be one of the most exciting things to happen for fringe theatre lovers in a long time. Here are our Top Ten Off-West End Productions that opened in 2017. 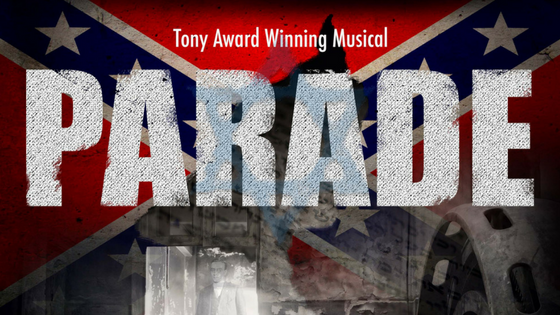 Parade makes it on to our list in the position of Honourable Mention, because it was so ‘off’ West End it was outside of London all together, with an old paper mill in Hertfordshire playing host to this immersive take on the Jason Robert Brown favourite. The staging was truly spectacular and I’m not sure it could have been as staged as effectively anywhere else, the cast were superb and the whole thing just felt so special, evidence, if you didn’t know it already, that there is fantastic theatre happening all over the country. 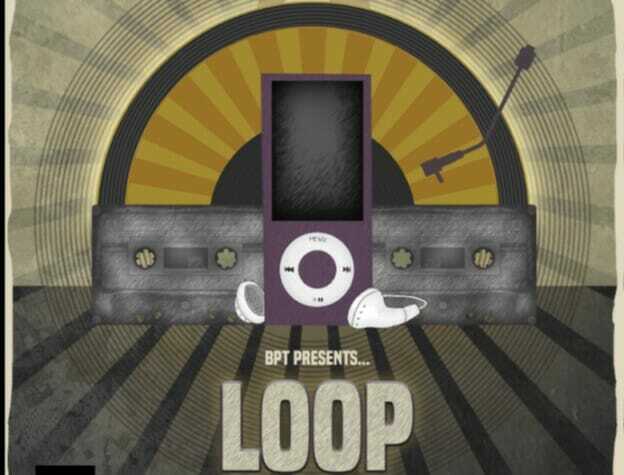 Back in June, Loop at Theatre N16 very cleverly used music to help tell a story, I loved the way the production moved from a fast-paced monologue with perfectly choreographed movements to a more traditional drama. The intertwining of music and expert storytelling made this production standout. 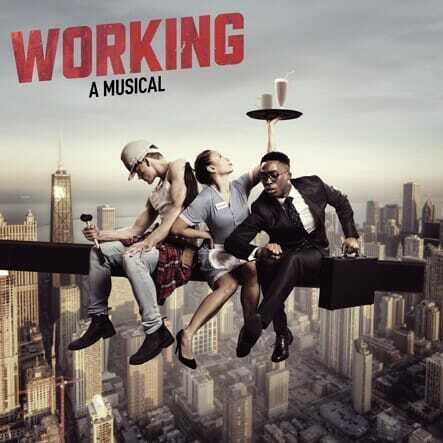 Making its European premiere back in June Stephen Schwartz’s Working A Musical tells the story of the average working American, through a series of song and dance routines. Stunning choreography and a stellar cast, including the likes of Siubhan Harrison and Liam Tamne gave this production the awe factor, but the casting of six recent graduates, making their professional debut, is what really made Working something special. This is the only solo performance to make it on to the list this year, and as well as a beautiful and heart-breaking story, it was the performance of Tom Ross-Williams as Yonni that made Run worth seeing. 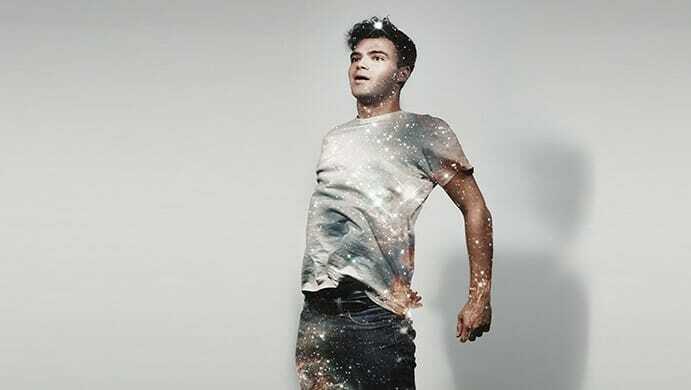 A soaring tale of love and loss told with fantastic physical movements. 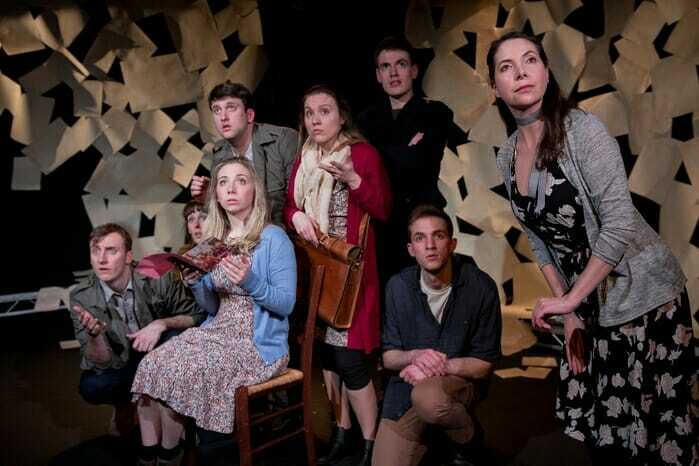 Based on the concept of letters sent during wartime, One Last Thing For Now, very cleverly structured itself in vignettes, so that as an audience member you were literally ‘waiting’ for the next letter to arrive to find out what happened in the story. Incredibly clever writing and beautifully performed by a talented group of actor musicians. 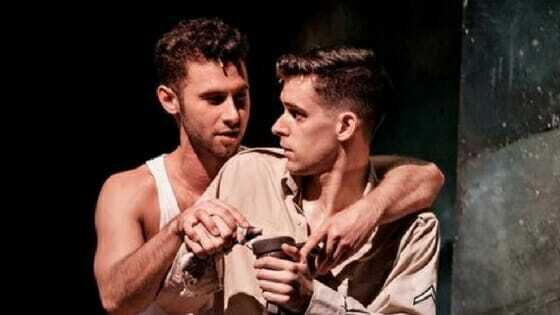 Opening at the Hope Mill Theatre, meant Yank had already gained critical acclaim before it opened in London. 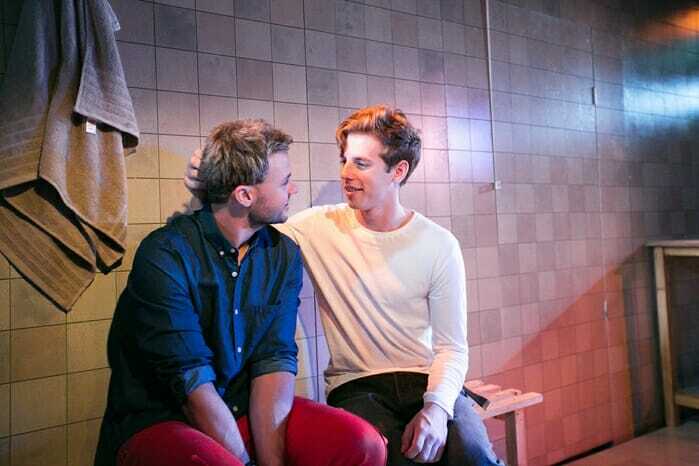 Audiences who had already seen it clambered to see the unusual love story all over again, and the pairing of Andy Coxon and Scott Hunter in the lead roles helped make Yank an instant success. Full of high energy musical numbers, as well as touching moments combined with fantastic choreography this was a truly glorious love story. 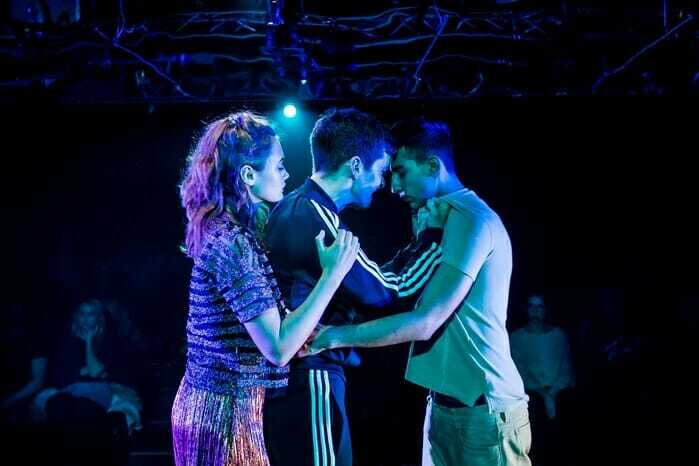 Glenn Waldron’s Natives opened at Southwark Playhouse in March and immediately garnered rave reviews. Telling the story of three teenagers turning fourteen in very different ways, the three characters never speak to each other directly as they tell their own stories, but the weaving of the tales was masterful. This coming of age drama, inspired by a graphic novel, employed bright and bold video projections to link itself back to its roots. But, it was the exceptional cast that made this production a must-see, Rona Morison pulled out all the emotional stops without verging in to annoying teenager, and Rebecca Trehearn played the bohemian mother perfectly. On paper, Consumables, which made two visits to the King’s Head in 2017, sounds like a bizarre comedy version of Silence of the Lambs. In reality, Matthew Kyne Baskott’s play is a masterpiece of theatre, expertly blending a dark, and fairly unconventional plot with a good dose of comedy. Consumables returns to London for a third outing in January at VAULT Festival, and I would urge as many as people as possible to see this wonderful production. La Ronde has to be one of the most innovative productions staged in London this year, the use of a giant wheel of fortune to decide the casting of each scene meant that every single performance was completely different from all of the others. Max Gill’s adaptation was extremely clever in the way it allowed for this complete flexibility, but the real accomplishment is down to the cast, who had to be ready to switch in to any role in any given scene. I saw the production twice, and loved it equally as much both times. I only wish I could have sat through every performance so as to see all of the different variations that were presented. I saw this way back in January, and it’s stayed with me ever since. Strangers In Between has a truly moving script which ultimately restores your faith in humanity, with genuine comedy woven through the darker elements of the story. A fantastic cast brought the characters off the page, led by Roly Botha who perfectly encapsulated the character of Shane. 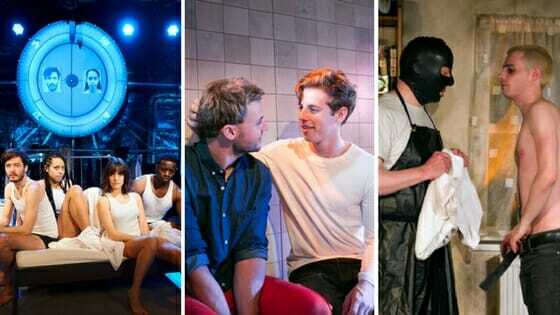 I said in my review that this was a production that could easily transfer to the West End, and my dreams have come true, as Strangers in Between, and the original cast will be at Trafalgar Studios from January 2018. Don’t miss your chance to see it this time round. Those were our top ten off-west end productions for 2017, but there were many fantastic productions across London, did your favourite show make the list? Let us know in the comments. Hope to see them all.